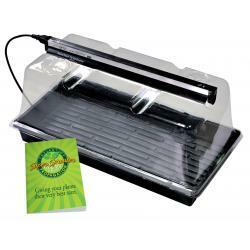 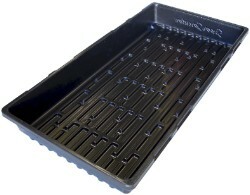 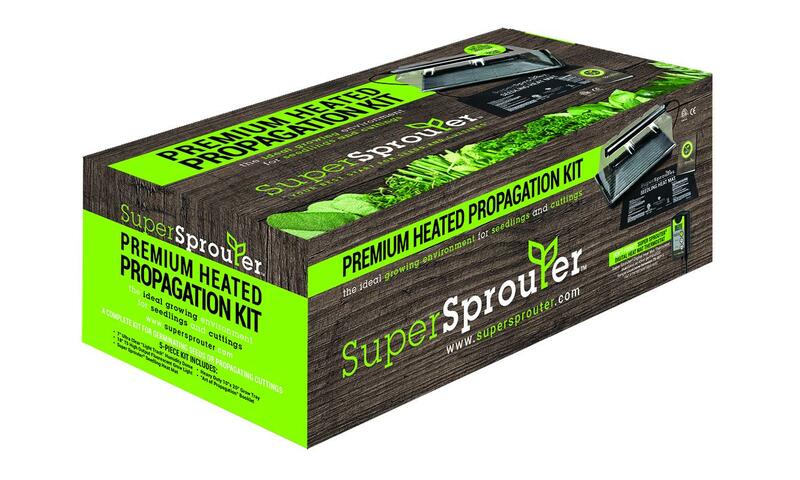 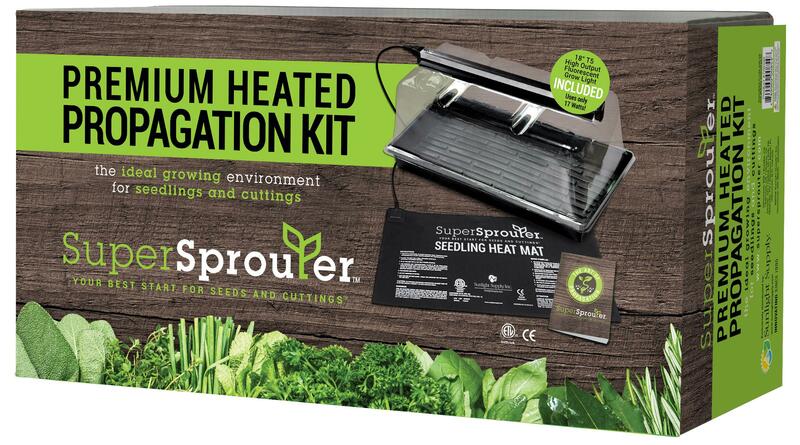 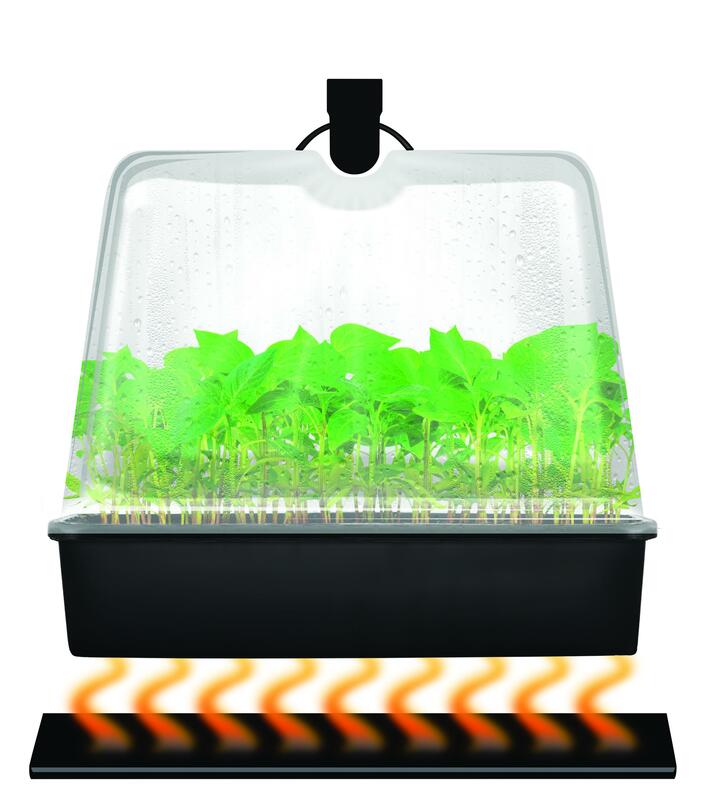 Super Sprouter® Premium Heated Propagation Kit provides a complete system for starting your seeds or cuttings. 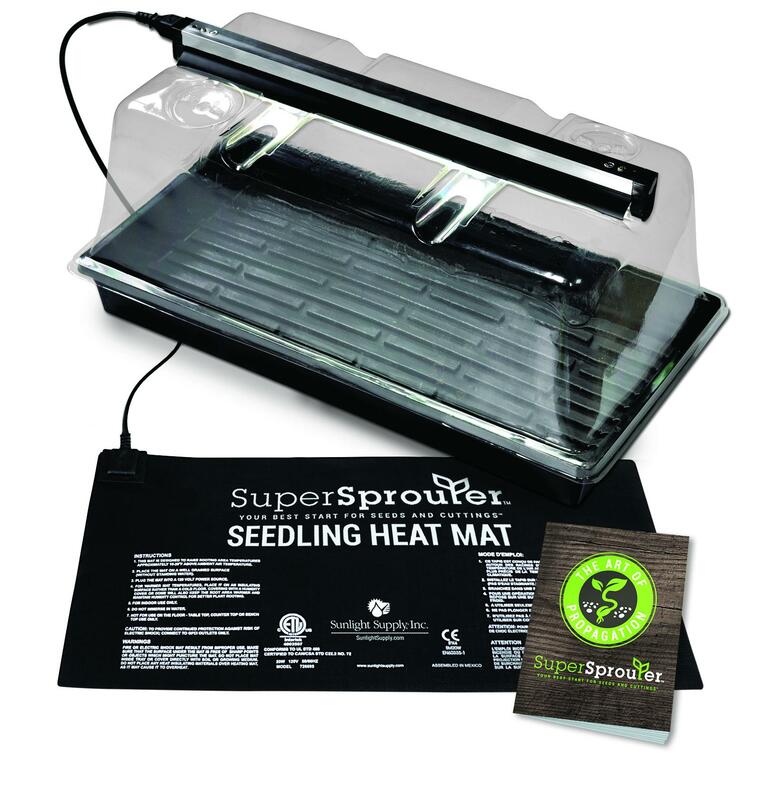 The kit includes a Super Sprouter® 7 in Ultra Clear Vented Dome with built in light track channels, Super Sprouter® 18 in high output T5 fluorescent grow light designed for the channeled dome, Super Sprouter® Double Thick 10 x 20 inch tray with no holes, Super Sprouter® heat mat and Art of Propagation booklet with expert advise for starting seedlings and cuttings. 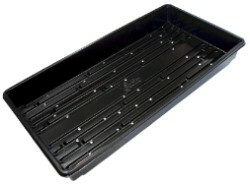 Just choose your favorite media and you are good to grow. 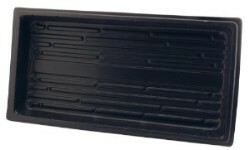 Mat is ETL listed and the light is UL listed.